Over 100 Custom Illustrations were created for Pets & Animals Magazine. 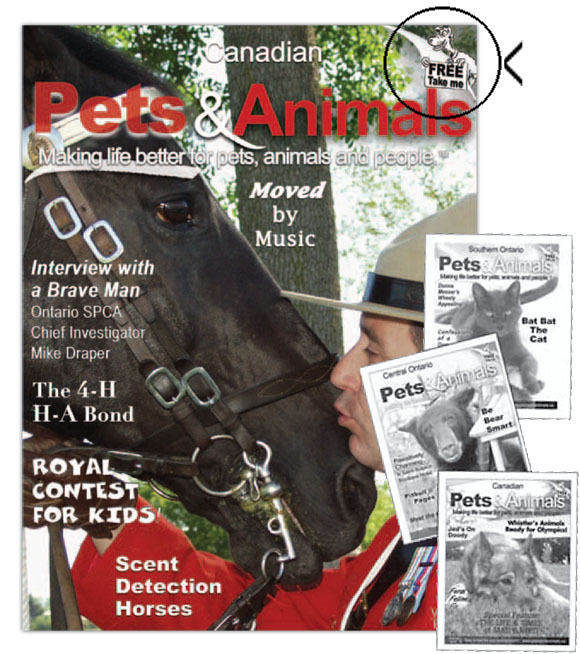 The illustrations were used to highlight feature articles, promote the magazine and offer activity pages for kids: puzzles, mazes, and colouring pages. The distribution for the magazine has gained steady growth over the past 5 years across southern Ontario. 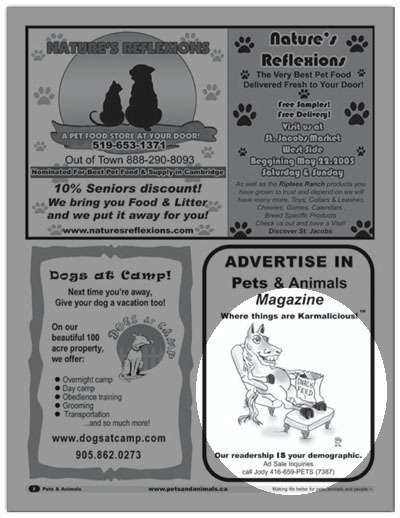 Below shows a Sample promotion ad.